1. “Library account" shall mean a physical card with a unique barcode number or a virtual account with only a unique barcode number issued by an authorized library staff member for purposes of identifying the person (borrower) to whom the account was issued. The library account holder (borrower) will then be authorized to borrow materials subject to all limitations and conditions imposed on such borrowing by the library system issuing such an account. 2. Library accounts are issued without a fee to an individual who is a resident of the city of Arlington or owns property in Arlington. This type account must be renewed every two years from the date the account is opened. a) "Resident" is defined as a person having a place of habitation within the city limits of Arlington, proof of which may include a government issued form of photo identification, accompanied by rent agreement, current utility bill, or tax statement, presented upon application for a library account. b) Proof of ownership of property within the city limits shall be determined upon application for a library account by the presentation of a current year's receipt for payment of ad valorem taxes on the property owned. Library accounts are issued to non-residents of Arlington for a fee. Non-resident accounts are valid for one year from the date the account is opened or renewed. Non-Resident fee is applied annually: a) Non-resident full services 50.00 b) Non-resident limited services (4 items plus access to electronic resources) 25.00 c) Non-resident computer use only 25.00 d) Non-resident Family-4 linked cards (full services) 75.00 e) Public Access Computer guest pass per session 1.00 The following non-residents are exempt from this fee: a) If the resident or property owner designation does not apply, a library account can be issued without a fee to an individual who is a student currently attending classes or an adult currently employed at a primary or secondary public, charter, private school, the University of Texas at Arlington or Tarrant County College Southeast campuses located in Arlington city limits. The exclusion will also include any child enrolled in a licensed daycare provider located in Arlington city limits. This type account must be renewed at the beginning of each new school year with proof of continued enrollment or employment with listed type of educational organizations.  Proof of current enrollment may include student ID, current report card, or registration records.  Proof of current employment may include employer ID, recent pay stub, or current employment verification document. b) Residents of Pantego, in accordance with the current interlocal agreement between Pantego and Arlington. c) Non-resident volunteers actively serving at Arlington Public Library (8 hours of service per month.) Proof of residence and exception must be validated annually to renew the account. Library accounts are issued to temporary residents of Arlington for up to but not to exceed three (3) months. Individuals eligible for this card would be applicants who are in Arlington either to attend an educational program, to receive medical treatment, to visit a relative, or the applicant may reside temporarily in one of the several Arlington-based social service centers. A library account shall not be issued to individuals who have at the time of application unpaid library charges, nor shall a library account be renewed for any individual who has not cleared all outstanding library charges on record. 3. The name and address provided by an applicant for a library account shall be considered the true and current name and address at the time of application. It is the responsibility of the library account holder to report any change of that person's name, address, phone number, and/or email address. 4. If a borrower retains property owned by or subject to the control of the Arlington Public Library for more than twenty-eight (28) calendar days after the return due date of any such item, or has accumulated fines of $10.00 or more, then such person shall be denied the privilege of borrowing any print and digital resources from the Arlington Public Library, utilizing the Library’s public computers, or reserving a library meeting room pending the return of all overdue library material and/or payment of all library charges to such library account. At the discretion of the Director of Libraries, a payment plan may be established to facilitate the payment of these charges over a 12-month period. 5. Any item recorded in a circulation transaction shall be considered to have been borrowed by the person whose name is on the library account used in the transaction, and the responsibility for any and all library fines or charges resulting from such transactions shall be the responsibility of the person whose name appears on the account. In the event the library account information is lost or stolen, it is the responsibility of the account holder to notify the Library immediately of the loss or theft which releases the account holder of any charges against a stolen library account after the account holder has notified the library. 6. The number of items allowed to be on loan to any single borrower is limited to 50 items, which may be a combination of any library materials in the circulating collection. Limitations on borrowing may also be set by the Director of Libraries on specific portions of the collection to ensure equitable access to resources in high demand. 7. A complete and current schedule of library fines, fees, and operations and services charges is on file with the City Secretary’s Office and may be found on the Library website (www.arlingtonlibrary.org). 8. An item borrowed from the Arlington Public Library becomes overdue on the first day of library service following the due date of the item as recorded in the circulation transaction when the item was borrowed. A library item placed in a book-return receptacle at any library facility during hours when the library building is not open shall be deemed to have been returned to the library on the date of that library building’s closing. 9. Fines for overdue materials will accumulate at the daily rate, Sundays and holidays included, not to exceed the amount of the "standard replacement cost" of the item. There are different classifications of types of materials which may be borrowed from the Library. At the discretion of the Director of Libraries, programs may be established where late fines will be waived in the following instances: a) for juvenile, student, and adult borrowers in exchange for volunteer assistance or program participation; b) for all borrowers for a specified period of time in order to benefit a charitable cause which serves a public purpose. 10. Each type of material has its own replacement cost. No borrower or class of borrowers shall be exempt from payment of fees for the replacement of lost or damaged materials. The charge for lost or damaged materials is the price paid by the Library for the particular item as recorded in the Library’s Circulation System database plus a processing fee. If an item record does not include the price paid by the Library, the standard replacement cost represents the average cost of the type of item borrowed and will be charged for the item plus a processing fee. Borrowers of library materials may provide a comparable replacement item of like kind and quality for lost or damaged items subject to approval by library staff. Refunds on books lost and paid for will be made if the item is returned in good condition and within six (6) months of the date of payment. The borrower must present the item to qualify for a refund. The current set replacement charges schedule is on file with the City Secretary’s Office and may be found on the Library website (www.arlingtonlibrary.org). Payment of replacement charges does not transfer ownership of the material to the borrower paying the charges. Lost or damaged items remain the property of the Library. 11. As a courtesy, when items checked out to a borrower become seven or more days overdue, the library will attempt to notify them by phone, text, or by email based on the notification settings made by the account holder. A final written notice will be sent to the email or mailing address listed in the borrower’s library account after materials become 28 days overdue. In the event, a library account balance exceeds $10.00 in unpaid fines or fees (including replacement costs and processing fees for unreturned materials) the account will be considered to be delinquent if unpaid within 30 days from the date the fines or fees are charged to the account. The collection of delinquent accounts may be pursued through several means, depending on the amount, including referral to a collection agency or through contact by City of Arlington Attorney’s Office. The account holder involved shall be informed, using the contact information provided by the account holder, of any overdue fines for overdue items that must be paid in full, any overdue library materials that must be returned to the library, or that payment be made to the library in the amount of the cost of replacing any and all such items including the standard replacement cost, the cost of cataloging and processing the replacement item or items, and the collection fee. The mission of the Arlington Public Library is to open doors to a world of ideas, information, and imagination, thereby enhancing the economic, social, and cultural vitality of our diverse community. The collection development plan supports the Library in its mission and defines the goals and outcomes of the Library collections. The plan provides an approach to selecting and acquiring materials. How successfully the Library serves the community depends on the availability of a well-selected, well-maintained collection, one that meets the informational, educational, cultural, and recreational needs and interests of a changing community. The Library supports the principles of intellectual freedom as expressed in the Library Bill of Rights and contained within the Freedom to Read and Freedom to View principles outlined by the American Library Association. It is the purpose of the Arlington Public Library to provide equal access to quality lifelong education, regardless of age, origin, ethnic background, nationality or socioeconomic status. It is the Library’s aim to offer a wide diversity of views and expressions responsive to community needs. Although the library provides materials presenting various points of view, the decision to acquire material does not constitute an endorsement of the material’s content, viewpoint, implications, or means of expression of the materials. The library evaluates material for inclusion in the collection on the total effect of the work rather than specific illustrations, words, passages, or scenes. Members of the community may object to the inclusion of material in the collection and request in writing that the Library reconsiders the inclusion or location of an item in the collection. Although we welcome input from the community, an item may only be reviewed once per year. A Request for Reconsideration Form is available at all Arlington libraries. The Library believes that individuals have the freedom to accept or reject an item from the library’s collection for their personal use. Responsibility for overseeing children’s use of the library collections rests with their parents and/or legal guardians, not the library. The Library permits youth (age 12 and under) to borrow material in the adult collections with parental consent. Selection of material, in print and non-print, will not be inhibited by the possibility that an item may inadvertently come into the possession of a child. The Library uses resources from other libraries in the Dallas/Fort Worth Metropolitan area and strives to avoid needlessly duplicating functions or materials. The resources of other libraries may be available to Arlington city residents through cooperative agreements with the Texas State Library and municipal, county and academic libraries within Texas. Arlington residents may request materials through the Interlibrary Loan Program at any location or via the library’s website. The Arlington Public Library consists of six Branch Libraries and a Downtown Library that serves the culturally diverse population of Arlington (Appendix A). The seven locations house general and special interest circulating and reference collections for all age groups. Each location also provides materials in a variety of formats: print, audio-visual and electronic. The Library collects traditional and current mediums: print, non-print and electronic. Since people communicate and learn in different ways, the Library does not limit itself to the print medium and offers access to a variety of media and resources. The Library recognizes that the technologies of sound, image and electronic databases continue to evolve and continually explores all new formats in order to offer current technology within our collection. In the delivery of electronic resources, the Library adheres to and supports the American Library Association’s doctrine on Access to Electronic Information, Services, and Networks. Review sources used in this process include but are not limited to Kirkus, Publisher’s Weekly, Library Journal, School Library Journal, New York Times Book Review, Foreword Reviews, VOYA and Video Librarian. Criteria for the evaluation of books and other media for all children’s age groups include literary merit, quality of art and illustrations, accuracy and timeliness of factual material, and award nominees/winners. The Library reviews the following children’s literary awards that include but not limited to: Bluebonnet, Caldecott, Newbery, TLA 2X2 Reading List, and state recommended reading lists. The young adult collections at Arlington Public Library serve youth grades 7 to 12. The young adult collections are intended to form a bridge between the juvenile and adult collection, providing materials for a wide range of maturity levels and reading interests. The social, emotional and intellectual maturity required to read Young Adult Fiction and Nonfiction makes this collection differ significantly from materials in the Juvenile Collection, serving the 12 to 17 age group. The Young Adult Audiovisual and Graphic Novel collections aim at a slightly younger age range, ages 12 to 16. To be relevant to young adults, the collections need to be browsing in nature, to contain current interest material, to be changing constantly, and to be aesthetically pleasing. Selection of Young Adult material follows the general materials selection guidelines listed above, with additional emphasis on: customer demand, popularity, critical reception, significance of topic or theme, and significance of the author/series/artist. Key resources used in the process include but are not limited to School Library Journal and VOYA as well as the following Young Adult lists and awards: Maverick List, Lone Star List, TAYSHAS List, Odyssey Award, William C. Morris YA Debut Award, YALSA Award for Excellence in Nonfiction for Young Adults, Edgar Award for Young Adult Fiction, and the Michael L. Printz Award. The Library maintains International Language collections that include works of fiction and non-fiction, as well as language-learning materials, in both print and media. Languages represented in the collection support our ethnically and linguistically diverse community. The Genealogy and Local History collection at Arlington Public Library resides at the Central library. The collection focuses on local research materials and family history data necessary in discovering family lineage, especially families who settled in this area. The Genealogy Collection’s primary purpose is to provide comprehensive information for those families who have lived in the City of Arlington. The Genealogy collection’s secondary purpose is to provide selective research materials covering Tarrant County, the State of Texas as a whole, Arkansas, Oklahoma, Louisiana, and select Mexico states. The Library also provides basic material for the Southern region and for major migratory routes into and out of this area. The Local History Collection acquires primary and secondary materials on the history of Arlington, its institutions, organizations, and individuals in the community, including City of Arlington municipal documents. The Genealogy and Local History collections both serve as a bridge to other collections in the area such at UTA, Fielder House, Fort Worth Public Library, and Dallas Public Library. The audiovisual collection of the Library serves all citizens of Arlington, regardless of age, by providing audiovisual materials for recreational and informational needs, striving to provide a quality collection that reflects customer demand. Selection of audiovisual material follows the same guidelines as selection of print material and endeavors to provide a diversity of viewpoints. Audiovisual material is selected to make the best use of the unique features of each medium, for the artistic and technical quality, and for the content and impact of each work. The Library’s film collections focus on sought-after, well-reviewed, and award-winning films. In selecting films, the Library consults movie reviews, monitors major awards and film festivals, and actively acquires bodies of work from award-winning directors, actors/actresses, and screenwriters. The audiovisual collection as a whole is intended to be browsing in nature, contain current interest material, have lasting appeal, and reflect the needs and interests of the community. The Library conducts periodic and continuous evaluation of materials as an integral part of collection development. It is considered of equal importance to the acquisition of new materials. When information becomes outdated or the materials become damaged beyond use, they should be removed from the collection. In evaluating materials for removal from the collection, the Library uses the Texas State Library’s C.R.E.W. Method as a guideline. In addition, collection maintenance involves inspection of materials for age and condition, monitoring materials for changes in interest and use, reviewing the collection for content, recommending titles for replacement, determining materials to be mended, and relocating materials to other collections. The Library provides several mechanisms to facilitate community involvement in the selection process by soliciting patron suggestions, monitoring active holds placed by patrons for specific titles, and conducting questionnaires and surveys. The same criteria used to purchase materials for the Library applies in evaluating customer requests. In addition, the Library will not fill customer requests that require on-going costs (memberships, subscriptions), not accessible to more than one patron over the life of an item, or current textbooks. The Library accepts gifts of books and other materials with the understanding that items added to the collection must meet the same selection criteria as purchased materials. The Library retains the right to accept or reject gifts and to make all decisions as to their use, housing and final disposition. Gifts may be added to the collection, made available to the public through the Friends of the Arlington Public Library’s semiannual book sale, or recycled. The Library will provide a receipt for gifts but will not give a monetary valuation for materials received. The Library accepts memorials and gift monies and will acknowledge contributions and provide a memorial/gift plate when the donor requests it. This document constitutes a Library-wide policy for the management of public computers and wireless network resources. All persons accessing the public computers or the wireless public network at the Library must abide by this Acceptable Use Policy (AUP) and all Federal, State and local laws and regulations concerning use of property and computing resources. Use of Library public computers or wireless connection constitutes acceptance of this Acceptable Use Policy and the Rules Governing the Use of the Arlington Public Library. The Arlington Public Library offers access to public computers in order to expand access to information, learning and discovery. These services are not intended to provide access to every software or hardware application or to every source of information available. It is the user’s responsibility to exercise judgment and discrimination when evaluating the usefulness and reliability of material found on the Internet. Library staff members may provide limited guidance for accessing the internet and library resources. The Arlington Public Library System is not responsible for the content, security or reliability of websites. Library computer resources can only be used for legal and authorized purposes. Library staff are authorized to coordinate usage of the Library public computers, have the right to determine appropriateness of use, and at any time may require a patron to leave the workstation for violation of this policy and in accordance with law. Library staff may deny use of the computer systems or services, and if appropriate, recommend criminal prosecution for individuals who fail to comply with any part of this policy. Failure to comply with staff directives may result in the loss of computer privileges upon formal notice. The Director of Libraries will oversee the patron appeals process in accordance with the written appeals policy available in the Administrative Offices of the Arlington Public Library 101 West Abram Street, Arlington, Texas. No filter is 100% effective, and the library is not responsible should these protections prove ineffective or provide personally offensive information. Individual users must accept responsibility for determining the suitability of content for themselves or their children. §43.22 of the Texas Penal Code prohibits the intentional or knowing display of an obscene photograph, drawing, or visual representation, while being reckless about whether a person is present who will be offended or alarmed by the display. §43.24 of the Texas Penal Code prohibits the display of harmful material, defined in the law similarly to indecent material under federal law, if the displayer is reckless about whether a minor is present who will be offended or alarmed by the display. Patrons are expected to use library computers and networks in a responsible and courteous manner and in accordance with the Rules Governing the Use of the Library. All users MUST have their own valid Arlington Public Library card or purchase a guest pass to reserve a computer. Observe posted time limits and regulations. Limit computer usage to a maximum of two people per computer station. Users must use headphones or earbuds for sites that require sound. Report equipment problems promptly to Library staff. Follow the instructions and directives of Library staff. Sharing computer account numbers, passwords and other types of authorization that are assigned to individual users. Downloading and/or installing executable files from any source on public computers. Changing the configuration files of any hardware or software on the Library’s workstations or attempting to disable the Library’s filtering software. Misrepresenting themselves on the Internet with the intention to commit harm, fraud or as a source of an electronic communication. Engaging in any activity that overburdens library resources including bandwidth, file space, or printers. Staff may request that a patron close an application if it is determined that it has an adverse impact on the network’s overall performance. Children are able to use public computers only in areas specifically designated as Children’s Computers. LIBRARY CARD USE AGREEMENT TERMINOLOGY: Children under the age of 13 are required to have the authorization of a parent or guardian on file to access the computers. Parents assume responsibility for their children’s use of the Internet at the Library. Adults are able to use public computers in Adult service areas only. Computer usage is limited to a finite number of sessions per day. All computer sessions, regardless of length, count towards the session number total. Session limits may vary by location and by type of workstation. Staff may also take other measures to manage sessions. Computers will shut down automatically a designated number of minutes before the Library closes. The Library is not responsible for the loss of any information or data that may occur as a result of shutdown procedures. All user-provided devices and Internet files will be scanned for viruses immediately after downloading or insertion in any drive or port and delete or disable any file found to contain a virus. Patrons use their own equipment or storage media at their own risk. Software or files are not permanently saved to the hard disk of any computer. Work may be saved stored on the patron’s personal USB device. The Library does not provide support for patron’s equipment that is connected to the Library’s computers and does not assume any liability for those devices’ functionality, contents or serviceability. Wireless access is a free public service provided by the Arlington Public Library. By choosing to use this service, the patron agrees to abide by the Arlington Public Library’s Computer Usage policy. The Library’s wireless network is not secure or filtered. Anti-virus and security software are the responsibility of the patron. The library is not responsible for any loss of data, or for theft or damage to personal equipment or software. * when required by local, state or federal law. As part of normal system maintenance, network administrators do monitor system activity, but the Library does not reveal information about an individual’s use of computer resources unless compelled to do so. Activities on public computers or the Library public wireless network cannot be guaranteed any right to privacy. Patrons should exercise caution on any computer when transmitting personal or sensitive information. The Library assumes no liability for any loss or damage to users’ data or devices, invasion of the user’s privacy, or for any personal damage or injury incurred as a result of using the Library’s computing resources. The Arlington Public Library assumes no responsibility for any damages, direct or indirect, arising from use of its computing resources, wireless network or internet services. The Library does not guarantee that individual users are protected from accessing information they personally may deem undesirable or disturbing. Users acknowledge that security errors and hacking are an inherent risk associated with any public computing (wired or wireless) and agree that they knowingly assume such risk, and further agree to hold the Library harmless from any claim or loss arising out of, or related to, any such instance of hacking or other unauthorized use or access into the user’s computer. Arlington Public Library exhibit spaces are for the primary purpose of promoting library resources and programs. The focus of these resources and programs is the advancement of reading as an educational, recreational, and cultural activity. Community groups, organizations, and individuals may be invited to loan materials for use in exhibit spaces. Items and materials are considered on loan to the library for the purpose of promoting library resources and programs. Library materials will be included as part of exhibit space. Exhibits will present a broad spectrum of opinion as well as a variety of viewpoints. No exhibit can promote a political cause or be commercial advertising. The library assumes no responsibility for items on loan, nor can the library provide storage space for material left beyond the scheduled end of the exhibit period. Only handouts and brochures from federal, state, and local government agencies will be accepted for distribution to the public through library outlets. When necessary, final approval for exhibit space rests with Library Administration. 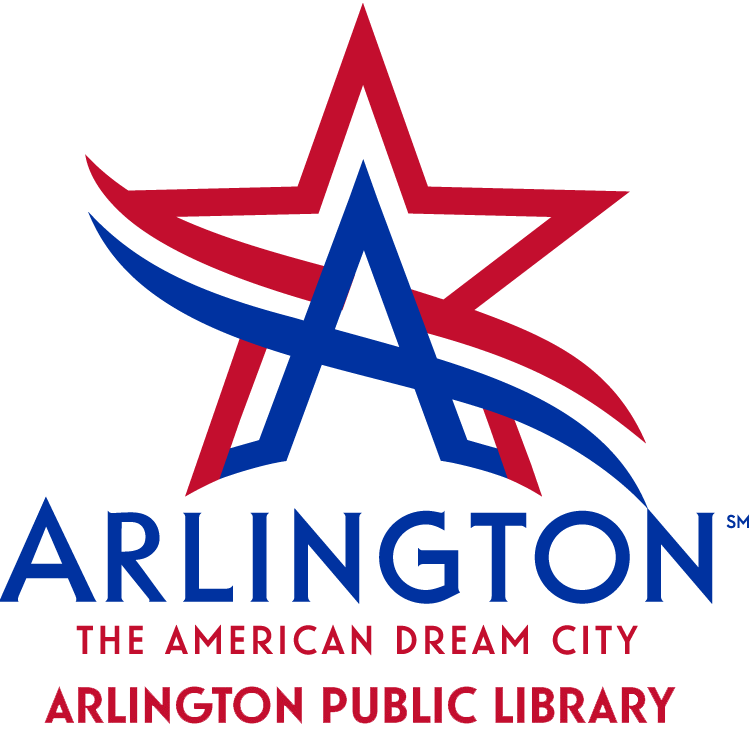 All exhibit spaces are considered the property of the City of Arlington, Library Department. Supervisors are responsible for ensuring the full utilization of exhibit space within their section of the Library System. The intent should be that there never is an empty exhibit space. Each exhibit must have a theme and a title. The exhibit space should be attractive and colorful utilizing available library items and material. All loaned items will be identified with the name of the loaner and a description of the object. Library staff will create all exhibit placards and signs. Library patrons and staff will sign liability releases for personal items loaned for use. (Use the Application for Use of Exhibit Space). Library staff shall set-up and dismantle exhibit or shall assist a representative of an organization in the set-up and dismantling of an exhibit. All lenders of display items will be given a specific date by which they must retrieve all loaned materials. Specific calendar events shall be recognized in all Departmental Sections with an exhibit. These specific events will include dates pertaining to the following themes: Black History Month and/or Martin Luther King, Hispanic Heritage Month, Asian-Americans, Middle Eastern, Native American, and Texas History as well as traditionally North American/northern European events. Others to consider are noted on the calendar below. Reference titles to consult for additional ideas of holidays or events to emphasis include Chase’s Calendar of Events, Texas Book of Days and the Texas Almanac. The City of Arlington’s webpage will also provide timely information on community events. Exhibit spaces are scheduled no more than three months in advance. There is no automatic renewal for the same month next year; therefore, a group or individual should complete a new application if schedule a future exhibit. Library exhibit spaces are schedule at one-month intervals. Exhibitors should plan to leave items for a full month. Exhibits are limited to one month and may not remain beyond the scheduled time. Exhibitors should be prepared to install an exhibit on the first day of the month and to remove the exhibit on the last day of the month. The library will dispose of any items removed from an exhibit and not claimed within 4 weeks after the date the exhibit is removed from the case. All exhibits must be limited to the size of the case assigned. No items shall be displayed on the top of the case, nor on the floor or on the library walls near the case. Exhibitors are hereby advised to avoid placing on display items of monetary value. Exhibitors place items for display at their own risk. There will be no payment for, or replacement of, items lost or damaged as a result of the items being on display at any Arlington Public Library location. Insurance coverage is not provided. If insurance coverage is desired, the exhibitor must make arrangements at exhibitor’s expense. We expect that users will respect the comfort, shared spaces and safety of all library users and staff. If your behavior is disrupting the communal environment, we will ask you to stop. We expect that users will comply with requests from library staff. If you do not, we reserve the right to suspend your privileges and/or your access to the facility. We expect that users will comply with all local, state, and federal laws. If you break the law, you may be prosecuted. If you feel that something or someone is disrupting the shared learning environment or jeopardizing your personal safety, please let a Library staff member know immediately. For everyone’s safety, children should never be left unsupervised in any area of the library. During library programs, children may attend on their own, but a parent/caregiver must remain in the library in the event of an emergency. If children are left unattended, staff may contact the proper authorities. The Arlington Public Library routinely takes photos and video of participants and visitors in our programs and facilities for promotional purposes. Be aware that by participating or utilizing our facilities, you are granting the City of Arlington and its agents the right to use and publish your image or your minor child’s image, and that no monetary remuneration will be given. *Please refer to the Meeting Room Usage Policy for complete details based on room selected. Downtown Library Room Rental Fees per hour during hours the building is open to the public. The charge for lost or damaged item from the collection is the actual price paid by the Library for the item as recorded in the Library’s integrated library system (ILS), plus a processing fee. If an item record does not include the actual price paid by the Library, the “standard replacement cost” will be charged for the item plus a processing fee. The standard replacement cost represents the average cost of the type of item borrowed. Borrowers of library materials and equipment may provide replacement items for lost or damaged items subject to approval by library staff. Refunds on items lost and paid for will be made if the item is returned in good condition and within six (6) months of the date of payment. The borrower must present the item to qualify for a refund. Replacement or repair cost for any furniture, fixtures, or facility will be charged. Payment of replacement charges does not transfer ownership of the material to the borrower paying the charges. Lost or damaged items remain the property of the Library. request the item through Interlibrary Loan (ILL). ILLs allow patrons to obtain materials from participating libraries throughout the United States. Save and print out our ILL form and take it to any library‘s reference desk. A fee of $2.00 will be charged for each request. If we are unable to borrow the item you requested, your money will be refunded. The Library is able to request many types of materials from these libraries, however, in rare cases materials provided through Interlibrary Loan will be restricted to in-library use only. Users of the Interlibrary Loan service must hold a valid Arlington Public Library card. If you’re interested in an item, the WorldCat database is a user-friendly resource for getting information about other libraries’ materials. Downloadable items, such as eBooks and downloadable audiobooks. Popular authors and/or newest titles We request patrons suggest items for purchase, especially for those published within the last 6 months. Lending institutions will not loan these materials. Audio Visual Material (audio tapes, CDs, microfilm, microfiche and videos) Limited availability due to a shortage of AV lenders. Photocopies of newspaper, magazine, or journal articles Limited photocopies of specific portions of non-circulating or reference books and microforms (portions of an index, table of contents, obituaries, etc. from archival, genealogy, local history or reference material. Non-circulating Genealogy Materials Only a handful of libraries will loan Genealogy/Local History material, but we can frequently obtain photocopies of specific information. Information on a specific subject Please provide as much information as possible about what is needed, age of person needing it, and sources already checked so that you do not receive duplicate information. Interlibrary Loan (ILL) services allow patrons to obtain materials from participating libraries throughout the United States. The Library is able to request many types of materials from these libraries, which can be checked out for use at home. In rare cases materials provided through Interlibrary Loan will be restricted to in-library use only. Users of the Interlibrary Loan service must hold a valid Arlington Public Library card. The following paragraphs describe the Interlibrary Loan policy. Interlibrary Loan is a primary service that supports the mission of the Library by providing enhanced access to library materials and information. The purpose of Interlibrary Loan is to obtain materials not available within the Arlington Public Library System (APLS) and to provide material from our collection to other libraries. The library affirms that Interlibrary Loan is an adjunct tool, not a substitute, for the Library’s collection. In meeting patron needs, the Library will exhaust local resources first. Items in frequent or recurring demand through ILL service will be considered for purchase. The Library will keep this Interlibrary Loan policy up to date and make it available to users and other libraries on request. Interlibrary Loan is a transaction in which the Arlington Public Library borrows materials directly from another library on behalf of a patron, or another library borrows materials from the Arlington Public Library on behalf of its patrons. All current Arlington Public Library cardholders with accounts in good standing may request specified material through Interlibrary Loan. All borrowing privileges, including Interlibrary Loan, of patrons who accumulate overdue fines over $10.00 are suspended until sufficient payments are made to reduce the overdue balance to less than $10.00. Failure to return Interlibrary Loan items on time may result in the suspension of library borrowing services to the delinquent patron. Books, audio materials such as audio books and books on CD, videos (VHS or DVD), microforms, articles and photocopies from materials may be requested. Some requests may not be filled due to high demand, copyright restrictions, inability to locate or rarity of item. A patron may have no more than five (5) items on request at any given time. Materials that will not be requested include items owned by the Library and temporarily in use or on reserve in the library, and electronic full-text information available to the Library via TexShare or locally purchased databases. The library will generally not seek loans of materials that have been published within the last six (6) months. Patrons may place an Interlibrary Loan request in person at any Arlington Public Library location, including branch libraries, by calling any Arlington Public Library, or by sending the request by mail or e-mail. The form is available on the Library’s web site and can be printed and completed at home to be mailed or brought in person to the Library. Interlibrary Loan requests will be filled as quickly as possible. Turnaround time varies depending upon the lending library and materials requested. Patrons will be notified by telephone, email or mail when their materials arrive at the library. Loan periods are determined by the lending library. Items generally are loaned to patrons for two weeks. A due date will be assigned when the patron picks up the item. Items will be considered overdue if they are not returned to this Library by the assigned item due date. Arlington Public Library will strictly adhere to conditions set by the lending library for the use of their materials. In rare cases this will require that loaned materials be used in the library and not checked out for use at home. Items should be returned to a circulation desk for proper processing, and not deposited in the book drop. This charge is refunded in the event the request cannot be filled. If the lending library charges a fee for photocopies or sending particular requested material, patrons will be consulted about their willingness to pay before those materials are borrowed. The patron is responsible for all fees charged by the lending library. Lost, damaged or stolen Interlibrary Loan materials are subject to the lending library’s rules and regulations. Upon notice that an item cannot be returned, Arlington Public Library staff will contact the lending library as to the charge for that material. Charges for lost or damaged materials, as well as overdue charges for Interlibrary Loan items are the responsibility of the borrower. These charges will be reflected on the patron’s Library account and may impact his/her borrowing privileges. The lending library determines whether or not renewals are allowed, and no renewals can be made unless the library has been given proper notice and approved the renewal. In certain cases, lending libraries will not allow renewals. Contact the ILL department at the Arlington Public Library to request information on specific item renewal options. The library will maintain records of transactions in order to inform patrons of the status of their requests and will report activity as required through Library reporting mechanisms. The Arlington Public Library endeavors to extend Interlibrary Loan services to all public, governmental and academic libraries. Other libraries may submit requests which will be evaluated on a case-by-case basis. All individuals not holding a current Arlington Public Library card who wish to borrow an item from our collection must initiate their request through another library as an Interlibrary Loan request. The Library endeavors to make available the broadest range of materials for Interlibrary Loan with the following exceptions: reference materials, newspapers, genealogy materials, e-books and audio visual materials. The Library also reserves the right to refuse to lend materials (such as local histories, rare materials or other items as determined by the librarian) or to ask the borrowing library to restrict use of materials lent. If an item cannot be borrowed the patron can request photocopies be made, subject to copyright and staff time limitations. The Library will not provide loans to other libraries of high demand material if local patrons have outstanding hold requests for those items. Libraries may submit requests by Navigator, email or phone. The library will provide quick turnaround on most requests, usually responding within three (3) business days. Items commonly will be loaned for five weeks. This allows for two weeks transit time and a three week check out to the patron. A due date will be assigned when the item is picked up by the patron. Items will be considered overdue at this library if they are not returned by the item due date. The Arlington Public Library will not charge for lending materials, except for insurance, photocopy, fax or mailing costs, if any. The library will charge the borrowing library for materials that are overdue, damaged, stolen or lost on Interlibrary Loan. Lost, damaged or stolen Interlibrary Loan materials are subject to the Arlington Public Library rules and regulations. Upon notice that an item cannot be returned, Arlington Public Library staff will provide the borrowing library with the charge for that material. Charges for lost or damaged materials, as well as overdue charges for Interlibrary Loan items are the responsibility of the borrowing library. Up to 5 pages will be provided, within copyright limits. There is a fifty-cent (50¢) per page charge for photocopies. Materials will be photocopied from hard copy or microfilm. Maker Space(s) is a flexible, participatory learning environment where Arlington Public Library (APL) patrons can utilize a variety of hands-on learning opportunities, gain access to the latest technology to encourage entrepreneurship and to help library patrons (Makers) to become more creative and empowered with new skills. The Arlington Public Library (APL) wants Makers of all sorts to be able to share the space and equipment with one another. To achieve this goal, Makers must observe not only the library’s policies, but the additional guidelines and responsibilities listed here. Failure to do so may result in the revoking of Maker Space(s) privileges and/or library privileges as outlined in the APL Library’s Patron Behavior Expectations of Behavior. Makers must be an APL cardholder. Before using Maker Space(s) for the first time, the Maker must complete Maker Waiver Form, present a valid library card, and a photo ID. Before each subsequent use, the Maker must check in with Library staff, within the Maker Space(s), with their library card or photo ID. Arlington Public Library’s Safe Child Expectation applies to Maker Space(s). Makers under 17 must have a parent or guardian present to sign Maker Waiver Form. Makers under the age of 13 must be accompanied by a parent or guardian at all times. The age restrictions will be identified in the usage guidelines for each piece of equipment. Some equipment may require training before use. Makers may not use these pieces of equipment unless the Maker has attended a training class, passed any required certification test for that piece of equipment, and received approval from staff for each use. Each approval will be documented in the library patron’s account. When using equipment without a training requirement in Maker Space(s), The Maker certifies that they are capable of using the equipment in a safe and proper manner and must follow the safety guidelines listed on the equipment’s usage sheet. Staff may not be available to assist with the use of any of the equipment. APL is not responsible for any defects or the quality of any of the equipment in Maker Space(s). If any of the equipment begins to act unsafe or incorrectly, the Maker must immediately discontinue use and notify Library staff. If you notice any damage to the equipment, please notify Library staff and ask approval before use. Equipment borrowed must be returned in the same condition as issued, barring normal wear and tear such as scratches or wear on the outside of the equipment from use. Examples of not normal wear and tear are Breaking of the structure, cracking, losing parts of the equipment. Makers agree to pay for the loss of or damage to any items due to misuse or non-compliance with specified instructions. Reservations on the equipment and Maker Space(s)/Library Programs take precedence over walk-ins. Please see the Reservation Process about reserving certain equipment. Other than the equipment that can be reserved the items in Maker Space(s) are on a first come, first serve basis. Library staff has final say on any disagreement over the use of equipment. Makers may temporarily lose equipment access and require retraining on equipment if they: 1. cause the equipment to be out of service; 2. do not follow the equipment usage guidelines; 3. demonstrate a lack of the basic knowledge required to use the equipment. Makers may lose their equipment access if retraining is required more than one time per piece of equipment. Makers agree to keep their workspace neat and to return all equipment to its proper place when finished. A Maker must be in reach of the equipment at all times while it is in use to ensure safety, so equipment can be controlled or turned off. Makers must immediately notify Library staff of any accident or incident of violation of any guidelines or library policies that occurs in Maker Space(s). Makers must pay all fees at the time Maker Space(s) equipment and services are used. If not paid, Library staff reserve the right to refuse service and/or keep any items for non-payment. The Arlington Public Library is not responsible for any personal effects, supplies or equipment left unattended or stored in Maker Space(s). Food or drinks are not allowed in Maker Space(s). Makers must respect the intellectual property of others and U.S. copyright laws. Makers must not create anything unlawful, dangerous, obscene or racially, ethnically or otherwise objectionable. Final determination is at the discretion of the Director of Libraries or designee. Any such items will be seized and destroyed. Disclaimer: While Library staff will make every effort to oversee the use of equipment, APL is not responsible for any object created with the use of the equipment. This Disclaimer includes any harm or injury incurred as a result of using any of the resources available in Maker Space(s). The equipment in Maker Space(s) is available for individual use by advance reservation or by walk-ins. The goal of these guidelines are to ensure that the equipment is being fully utilized by as many people as possible during the hours that Maker Space(s) is open. The following requirements must be met by all individuals requesting a reservation of any of Maker Space(s)’s equipment. Library staff shall have overall responsibility for reservations. Work on the equipment should conclude and The Maker should clean and restore the work station 15 minutes prior to the end of a reservation time. Notice of cancellation must be given at least 24 hours in advance of a reservation. Cancellation of a reservation without 24 hours’ notice may result in the denial of future reservations. If a reservation is cancelled due to inclement weather, an applicant may re-schedule to an available date. Failure to arrive for a reservation within 30 minutes of the reservation time may result in a cancellation of the reservation and the equipment will be made available to other Makers. Applicants are expected to abide by Maker Space(s) Usage Guidelines and any applicable Library Polices at all times. Individual reservations may be made only during hours Maker Space(s) is open. Groups may schedule a training or demonstration of any equipment in Maker Space(s). To schedule a training and/or demonstration, please contact the library. Trainings and/or demos will be offered based on staff availability. Safety goggles, gloves, ear protection, and masks are all available. It is your responsibility to use the proper safety equipment for your project. Be aware of locations of first aid equipment and know of the operating guidelines for the equipment you are using. You are required to read the following information very carefully and make sure that you understand it fully and sign it before participating in this activity or program. The Accident Waiver and Release of Liability Form shall be construed broadly to provide a release and waiver to the maximum extent permissible under applicable law. Meeting and study rooms of the Arlington Public Library are designed to meet general informational, educational, cultural, and civic purposes. Under the following guidelines. When a meeting or study room is not in use by the Library or a City department, the meeting or study rooms are available on a first come, first served basis. Library card holders (applicant) can request a room by completing and submitting a room reservation request online or in person. All public rooms are available during normal library business hours. Some Downtown Library reservation requests are possible outside of normal business hours (see below for more details). A meeting room reservation request must be completed and the applicant must acknowledge that they understand and will comply with the Meeting and Study Room Usage Policy. Payment must be made within 15 business days of placing your reservation request unless payment arrangements have been made. If payment is not received within this time period, the room request is subject to cancellation. Applicable fees will be posted to the applicant’s library account and once paid the reservation will be processed. Fees may not be charged or collected to attend a meeting/event. All meetings/events are considered open to the public unless an hourly rental rate is paid. Library staff is permitted to observe or monitor a meeting/event at any time. Use of any Library facility phone number as a contact phone number for the meeting/event to promote the event is prohibited without prior approval by Library Administration. The Library will not serve as a point of information referral for individuals who may have questions regarding the meeting or who wish to contact meeting organizers. Use of the Library’s meeting rooms does not constitute Library or City of Arlington endorsement or approval of viewpoints expressed by participants in the program. Advertisements or announcements implying such endorsement are not permitted. Library management reserves the right to review any signage, decorations, or literature before usage of a room for compliance with the policy. It is prohibited to attach signage or decorations to any room surfaces using materials that do not remove cleanly or that mar finishes. No open flame or ember is not permitted in any space per the City of Arlington Fire Marshal. Attendees may not exceed the posted occupancy load for the meeting room as established by the City of Arlington Fire Marshal. Library furniture or equipment stored in the meeting rooms shall not be removed or transferred to other areas and any items moved within the room must be returned to the original configuration. Applicant is responsible for all damages to the room, fixtures, or equipment during the reservation and will be responsible for any of the resulting cost. The Library Department reserves the right to revoke a reservation if the meeting/event is disruptive to the Library’s normal course of business, violates the adopted Rules Governing the Use of the Library, or in violation of the guidelines outlined in this Meeting and Study Room Usage Policy. The Library is not responsible for any items left on Library premises. There will be no payment or replacement for items lost by the organization or those in attendance. Any belongings found will be placed in the Library lost and found and will be discarded after 90 days. Food may be served in Branch Community Rooms, [re]Brary A and B, Resilience, Excellence, Arlington Tomorrow Foundation Board Room, and the Sun Club Roof Top Garden ($20 fee applies) per room. Beverages in a covered container are permitted in all public use meeting and study rooms. No alcoholic beverages are allowed in any building or room during normal business hours. Any private after-hours event must be pre-arranged with Library staff and beverage service must comply with all laws and regulations and TABC requirements. All Arlington Public Library System facilities are non-smoking at all times. $20 Application Processing Fee for up to three reservations at the same time. Food is permitted in the Branch Community Rooms with payment of a $20 fee. Arlington Police Department security is required (3 hours minimum at $135) and $45 for each additional hour. Library staffing is also required (2 staff minimum) If the reservation is for multiple spaces, additional staff may be required. City of Arlington neighborhood associations that are registered with the Community Planning and Development’s Neighborhood Network. Usage of study rooms is free of charge with an active library account. Only beverages with a lid are permitted in study rooms; food is not permitted. Reservations are approved on a first come, first served basis. The Library Director shall have final authority regarding the use of Library meeting and study rooms and/or cancellation or discontinuance of meeting room reservations. Applicants may have three active reservations at any given time throughout the Library system and may reapply for the use of the room upon successful completion of any meeting. All cancellations must be submitted within 48 hours of the reservation start time to receive a refund of paid fees. The Library reserves the right to cancel a reservation in the case of an emergency closing. Any paid fees will be refunded. Applicant must check with library staff to gain access to a room and to ensure that the room, furniture, and/or equipment used are in good condition. Applicant is responsible for noting posted fire exits and evacuation procedures. acceptable connection methods are Wi-Fi, HDMI or USB cable. basic connection cables will be available for checkout. Replacement cost for cables not returned will be charged to the applicant. assistance with audiovisual, internet access and PC hardware/software is unavailable on items not supplied by the Library. not all locations have the same items available for use, nor will equipment be transferred from one location to another. See room reservation system for equipment availability. Furniture and equipment must be returned to the original configuration. The room must be completely vacated by the published closing time unless prior arrangements have been made with the supervisor in charge. The applicant must notify library staff at the conclusion of the reservation to ensure that the room, furniture and/or equipment used are in good condition. The applicant will be responsible for any loss or damage property if the room not secured before leaving the space. Photographs are a wonderful way to remember your visit to the Arlington Public Library. We encourage visitors to snap casual photos (for their personal use) and share them with us through Facebook, Twitter, and Instagram. Individuals visiting the libraries are welcome to take a few photographs or make short video clips for personal use without advance permission, except where signs are posted prohibiting this. All such activities must be carried out so as not to disturb library users or staff. The following are not permitted: use of flash, tripods, or other equipment that might cause a distraction or obstruction; blocking stairwells or exits, or otherwise impeding traffic; moving or climbing on library furniture or equipment. Photographs of individuals, particularly close-ups, may be taken only with the person's express permission. Personal photos and videos are not to be used for commercial purposes. All photographic requests must be made at least one week (7 days) in advance of the requested date. Requests will be approved only in cases where the shoot will not disrupt or inconvenience regular library use. All requests for filming or photography in the Library should be emailed to the Library Administration at LIBMeetingRooms@arlingtontx.gov. Requests should be made only after review of this policy and must include the purpose of filming, requested locations, preferred dates and times, number of people involved in the session, and any other relevant details. $100 photography fee per session will be charged. The photography fee applies to but is not limited to, the following portrait occasions: baby shower, prom, quinceañera, graduation, birthday, wedding, and engagement. Maximum two hours, limited to photo subject, photographer, and one assistant. Filming of the exteriors of the libraries is welcomed so long as the photographer/videographer do not block entrances or prevent library users from easy access to the buildings. Common sense and consideration should be used in photographing individuals. Photographs of individuals, particularly close-ups, may be taken only with the person's express permission. All photographers, professionals or individuals, will be responsible for any damages or injuries related to using of the Library photography sessions will be responsible for damages to property and any personal injuries that may occur. Photography charges will be waived for student photographers or videographers working on a school project. However, permission from a Library Manager and a valid Student ID will be required. There is no charge for photography at a reserved venue during the rental period. Photos taken outside the reserved venue will require a per hour fee. We hope you enjoyed hosting your function at the Arlington Public Library. Please let us know if you have suggestions or comments. To provide a formal process for the Library Advisory Board (LAB) of the City of Arlington to evaluate proposals for the naming/renaming or dedicating of library facilities. It is the intent of the LAB to review all requests for naming or dedicating, evaluate each request in accordance with the following guidelines, and provide recommendations to City Council concerning the naming of Library buildings, rooms or features within or outside Library buildings. To request a name for a specific Library building, room or feature within or outside the building such as a community room or a garden area, an applicant should submit a written request to the Library Advisory Board via the Library Department staff. Applicant may obtain a copy of the Library Naming Guidelines from Library Administration located at 101 W Abram. The application should clearly state the name of the requesting organization along with the name, address and phone number of a contact person. The request must include all information as stated in the guidelines below and verified by Library Department staff. Upon receipt of all information, the LAB will review the application and request any clarification as needed. The LAB will then have no less than one month (with the exception July and August) to reflect and consider the naming request before the item will be placed on the Board agenda for voting purposes. The Library Advisory Board reserves the right not to endorse a request to the City Council. Donating or contributing a significant amount for the construction and furnishing of the library. Providing direct and significant volunteer services benefiting the public as a local or community leader. B. The Board shall give special consideration to requests placed by the Arlington Public Library Foundation that may directly relate to contributions made to the Foundation for the purpose of improving and enriching the construction, furnishings or equipment of the Library facility. C. Persons currently holding a local elected office or serving on the Library Advisory Board may not be considered for naming. Petitions, if submitted, must state the intent and include printed names, signatures, addresses, zip codes and telephone numbers of each signer as proof of residency. All of the above must be submitted to the LAB for review. forward recommendations to the City Council for review. 1. In order to borrow DVDs or Blu-Rays, patrons who are seventeen or younger must have the consent of their parent or legal guardian indicated on the Borrower Card Application that the parent or guardian signs. 2. Ten DVDs or Blu-Rays may be “out” on a patron’s card at any given time. 3. The check out period for these materials is SEVEN DAYS. 4. The LATE CHARGE for DVDs and Blu-Rays is $0.25 PER DAY. 6. DVDs and Blu-Rays MAY BE RETURNED IN THE BOOK DROP WHEN THE LIBRARY IS CLOSED.To avoid a late fee, the material must be returned prior to the opening of the Library on the next business day. PLEASE make sure that DVDs are secured properly in their case. 7. Patrons are responsible for the cost of replacement of any Library material that is lost or damaged while in their possession. 9. DVDs and Blu-Rays may be returned to any Arlington Public Library location. 10. Duplication of these types of materials may be a violation of copyright law. 11. The Library is not responsible for any additions or other alterations to the original video. 12. The Library will not be responsible for any damage to a patron’s equipment that may be caused by using the borrowed item. 13. NEVER LEAVE DVDs OR BLU-RAYS IN A PARKED CAR OR IN DIRECT SUNLIGHT. HEAT WILL DAMAGE THESE TYPES OF MATERIALS VERY QUICKLY. 14. DVDs and Blu-Rays can be damaged if played on equipment not functioning properly. Children who are twelve years old or younger and whose parents have agreed to an unrestricted card may borrow videos, rated PG, or GENERAL, contingent on parental approval as stipulated by the parent/guardian on the Library Borrower Card Application. For the child whose parent or guardian has chosen the restricted card, the child’s borrowing privileges will continue to be restricted to the children’s collection. These choices are made at the time of application for the child’s library card. Subsequent changes will require the parent to fill out a new application for the child. For several years, it has been the goal of the library to build a collection of visual and electronic materials covering a wide range of educational topics. We will continue to emphasize our commitment to building a collection that is educational and informational in content. This emphasis has made the collection a learning resource that can be of considerable value to students. As a consequence of this emphasis on educational and informational videos, the library’s collection now contains many items of this type that cost considerably more than the price of a book. Thus, the loss or damage of these types of materials can result in a financial obligation well in excess of the cost for loss or damage of a book. In addition, the fine for late return of DVDs and Blu-Rays is $.25 for each day they are not returned after the seven day loan period. Therefore, it is reasonable that the requirement of parental approval for juveniles to borrow these types of materials is necessary from the standpoint of both the Library and the parents of juveniles.